The project deals in “account receivable management at Tata Steel”. Receivable management is one of the most important aspects of the organization, as it deals with the management of the outstanding. The profit of the company mainly depends on the accounts receivables. Therefore it needs a careful analysis and proper management. Debtors occupy an important position in the structure of current assets of a firm. They are the outcome of rapid growth of trade credit granted by the firms to their customers. Trade credit is the most prominent force of modern business. It is considered as a marketing tool acting as a bridge for the movement of goods through production and distribution stages to customers. Till few years back, Tata Steel had a very strict policy of selling against advance payments. That was an era of controlled economy. However, with an increasing domestic and international competition, Tata Steel could no longer afford this policy, in order to maintain its premium position. Further in order to capture a greater amount of market share, it was compelled to go by the industry norms and thus it ushered into the new era of credit sales. This resulted in credit sales going up significantly. A credit limit was sanctioned to every customer. The customers were required to pay the outstanding amount on the due date. Accounts receivable is an accounting transaction which deals with the billing of customer who owes money to a person, company or organization for goods and services that has been provided to the customers. In most business entities this is typically done by generating an invoice and mailing or electronically delivering it to the customer, who in turn must pay it within an established timeframe called credit or payment terms. The term receivable management is defined as “debt owed to the firm by customer arising from the sale of goods/ services in the ordinary course of business.” The receivable represents an important component of the current assets of the firm. Receivables may be known as accounts receivables, trade creditors or customer receivable. When a firm its products / services and does not receive cash for it immediately, the firm has said to be granted trade credit to the customers. 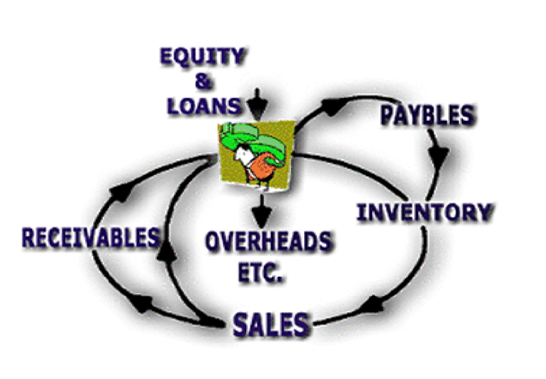 Trade credit thus creates receivable / book debts, which the firm is expected to collect in near future. Accounts receivable are thus amounts due from customers, which bear no interest in essence, a company is providing no cost financing to the customer to encourage the purchase of the company’s product/services. Backed by 100 glorious years of experience in steel making, Tata Steel is the world’s 6th largest steel company with an existing annual crude steel production capacity of 30 Million Tons Per Annum (MTPA). Established in 1907, it is the first integrated steel plant in Asia and is now the world`s second most geographically diversified steel producer and a Fortune 500 Company Tata Steel has a balanced global presence in over 50 developed European and fast growing Asian markets, with manufacturing units in 26 countries. Tata Steel`s Jamshedpur (India) Works has a crude steel production capacity of 6.8 MTPA which is slated to increase to 10 MTPA by 2010. The Company also has proposed three Greenfield steel projects in the states of Jharkhand, Orissa and Chhattisgarh in India with additional capacity of 23 MTPA and a Greenfield project in Vietnam. Tata Steel, through its joint venture with Tata BlueScope Steel Limited, has also entered the steel building and construction applications market. The iron ore mines and collieries in India give the Company a distinct advantage in raw material sourcing. Tata Steel is also striving towards raw materials security through joint ventures in Thailand, Australia, Mozambique, Ivory Coast (West Africa) and Oman. 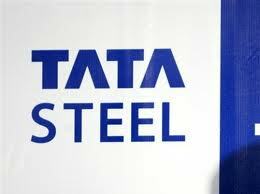 Tata Steel has signed an agreement with Steel Authority of India Limited to establish a 50:50 joint venture company for coal mining in India. Also, Tata Steel has bought 19.9% stake in New Millennium Capital Corporation, Canada for iron ore mining. Exploration of opportunities in titanium dioxide business in Tamil Nadu, Ferro-chrome plant in South Africa and setting up of a deep-sea port in coastal Orissa are integral to the Growth and Globalisation objective of Tata Steel. Tata Steel’s vision is to be the global steel industry benchmark for Value Creation and Corporate Citizenship. Tata Steel India is the first integrated steel company in the world, outside Japan, to be awarded the Deming Application Prize 2008 for excellence in Total Quality Management. The increase in the net sales of Tubes division was due to the increase in both the volume as well as prices. The Ferro Alloys and Minerals division of the company registered a growth of 24% in terms of value though there was a decline in terms of quantity due to the company’s decision during the year to stop the sale of ores. There was a decline in the net sales of the Bearings division of the company mainly due to lower off -take by the automotive sector, which is a major customer sector of the division. There has been decrease in the trend of debtors in last five years, from Rs.756.6crores to Rs.543.48 cores. This decrease in debtors shows a more profit to the company. The increase in the debtors during 2006-07year might be due to the acquisition of CORUS. The credit policy provides the yardstick for measurement of credit level of receivables and is the indentified and compared monthly, as per the requirements. The policy is influenced by the nature of market and strength of the competition. The policy clearly defines the standard for target debtor level, which in turn is a significant influence both ion payment terms and on the whole of the credit control operation, since it determines how much tolerance, if any, is to be shown to slow paying customer. TATA STEEL has a body known as credit control committee, which formulates and gives the final approval for many credit policy matters. The credit guidelines as they have emerged today are combined efforts of finance and marketing department. The credit control committee is headed by Sr.V.P & E.D (F&A) and consists of all product and sales manager from various divisions along with G.M (F&A) and other concerned executives as its members. The committee meets at least in two months. The annual limit of credit sale is provided by Sr.V.P (F&A) in consultation with other management officials. The committee then discusses in detail about the breakup of the above lump into the credit limits for different sales offices and also for various customers i.e. both regional and party wise credit limit is set by the body. Hence the basic purpose this committee is to set the standard and also have the overall control of the credit situation, thereby keeping the financing of the working capital cost effective and preventing any liquidity problems from arising. As a general rule, credit is allowed to customer who takes large and repeated orders. One time customers are not entertained for credit. CREDIT PERIOD: the credit period is decided on the basis of the type of the product and is generally of fixed nature. However, special customer may be allowed a variance in the set credit period depending upon the volume of sales and customer relationships. INTEREST CHARGED: interest free credit is allowed for 30 days in most cases. A every 30 days extension there is a 1% rise in interest rate for secured credits. The rate of interest for unsecured credit is1% more than the corresponding rate under secured credit . there is a penal interest of 3% over the applicable rate of interest. A constant touch with the customers is the best way of reminding him about his payment schedule in a polite but firm manner. A daily, weekly and monthly report regarding the total sale is done to keep a track on debtors and cash position. Tata steel ‘s collection efforts were not up to the mark that is the reason why outstanding of greater than six months were increasing continuously which has now improved to a great extent. With the help of these, monthly reports are generated and are sent for review to credit control committee chaired by V.P (F&A). In case of secured credit where Tata Steel is also a debtor of its customers, it uses its accounts payable as tool to realize its accounts receivables. In cases, which have the symptoms of becoming the bad, a reconciliation statement is prepared and the mutual agreement arrived at. However in the worst case legal action is pursued and bad debts are not written off before five year. Managing the debtors for Tata steel is an important and chief function of the sales accounts division of finance and accounts. All the transactions of commercial nature are dealt with by this department in a detailed outline frame of working. The debtors arise each month out of the sales made on credit and suitable feeding of the required figures has to be made once in a month. This function is very much a difficult task owing to the various subsidiaries and associate companies being controlled by TISCO itself. The activities of each of the companies are diverse in operations and require different policy formulations and strategies for complying with the existing market requirements. But they are controlled in a centralized manner so that they give an actual overview of the standing of the company. The profitability of each of the above is equally important to arrive at a consensus for finding out the actual earnings and future prospects. As such each of the company under subsidiary and associate is incorporated under distinct centres as Profit Centre. To flatten the organizational structure and developed authority and responsibility for the quicker responsiveness to changing market conditions and greater initiative in dealing with different target markets, Tata steel has brought in the concept of profit centre. For all practical purpose, each profit centre functions as a separate company within the hold of Tata steel. From the debtors management point of view also each profit centre has the responsibility of appraising and dealing with its customers. However the overall control is centralized and is in the hands of the finance department. The main function which lies at the hands of Tata steel, Jamshedpur is to report such standings of the actual debtors as on a particular date to the MD in the form of a monthly report. The figures thus arrived at give an overview of which profit centres contribute the most to the debtor’s standing and the specific reasons for the same. Each of the above profit centers have debtors of their own which are handled and managed in a centralized manner. For an example, tubes division is one of the most important division which has the maximum contribution to the total sales taking together all the profit centers at a point of time. It has various parties of its own as debtors such as ESSAR STEEL LIMITED, BLUE STAR LIMITED, TATA CHEMICALS LIMITED, MECHATRONICS and many debtors. A database relating to the different parties is maintained in a pre specified format which helps in understanding the actual standing of the debtor from the point of view of the actual sale being made to the party on credit till date. This format helps in maintaining the records in a form which helps in judging the actual ageing of the debtors and the amount being recovered from the total debt. By ageing we mean to give an actual definition to the debtors in terms of how old has the debt been to him and thereby categorizing him for the purpose. A same prescribed format is used by all the profit centers for managing their respective debtors. Through this preparation we get to know the actual total debtors figures and the major parties that have contributed to the increase and decrease in the debtors as when compared with the previous financial period. It mainly emphasizes upon the total debtors figures and the overdue debtors and their major contributors in the form of party names and figures. It also gives all list of indications for the debtors whose standing are for periods beyond six months. This reporting is crucial for the reason that it gives the management the indicative areas for focus, the reasons for a rise in debtors and suitable control for future standing which is profitable to the company as a whole. TATA MAIN HOSPITAL (TMH) was introduced in 1908 and restructured in 1909 and as the days passed, TMH is now a days the biggest hospital in the city with most appropriate and valuable services to the city. This hospital has the most sophisticated equipments for the investigation of medical purposes with well experienced Doctors, Specialists, Surgeons, Facilities & sufficient no. of Medical and non Medical Staff. TATA STEEL and its associates provide free services to their employees and their dependants through TATA MAIN HOSPITAL, for these services companies are paying to hospital. In this process TMH has accumulated a huge outstanding from its corporate customers, even after TATA STEEL’S reminder calls customers are not paying their outstandings. So TMH has stopped its services for a day, for that company whose books of accounts showed outstandings for a long period. WILLINGNESS TO PAY- it is based on the judgement and is applicable to both organised and unorganised sectors. This is the only criterion adopted for assessing the customers in the unorganised sectors. Should we extend credit to this entity? The structure of the credit i.e. Depending upon the above basis Tata steel have developed a module for assessing the risk associated with each and every accounts and to judiciously take a decision based on the information available. A key strategy in lowering bad debt is reducing the time to recover the invoiced amounts. Together with stock days; debtor and creditor days are a crucial link between the company’s income statement, its balance sheet and its cash-flow. While in the income statement a company can book sales and profits to its heart’s content, if it is slower than before at collecting its bills and suppliers demand faster payment, then cash receipts will not reflect the trend in profits. It is this divergence between profits and cash that is often the biggest and best signal that a company might be in trouble. The state government & other government departments are another problem area in town division. The company must send frequent reminders, ex-once in 15 days that they have to pay their dues. The company must negotiate with the government about their repayment of dues. The company is facing problem in collecting the medical bills from corporate customers. The company must make the list of defaulter in medical bills, which must be kept with the concern authority. The person in charge must see that the defaulter must not be entertained, even though it is an emergency case, until he pays his old dues. The selection of customer must be done carefully, by properly checking the company’s background, its repayment capacity etc. The company should rate the parties by seeing its past performances. These ratings must be updated every year. Channel financing is a way through which problems of dues can be controlled to a great extent but it should be taken care that the company won’t be liable for any default made by the middle person.